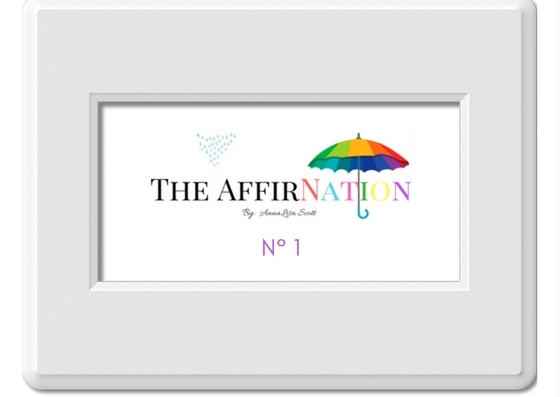 This first AffirNation affirmation is especially important because a lot of us with anxiety disorders have been panicking and fretting for so long, that these are no longer just “reactions” we have to things that concern or frighten us. These are now automatic responses. We have allowed our strong reactions and/or obsessive worry to become a habit. Yes, our fearful reactions are very real and come from a genuine place of concern. We are sensitive people who really “feel” things. But we have been having these reactions for so long, that when we experience something that frightens or upsets us, neither we or our brains, stop to consider any other reaction. a thought, feeling, or circumstance scares us and we automatically get very agitated or panicky and go straight into worry mode. If we try to consciously change this reaction and respond in a healthier, calmer way to negative things, it can feel VERY difficult. Out thoughts just want to glide straight to the “worst” and trying to correct it feels about as easy as trying to squeeze a wet bar of soap between your hands without dropping it. But there is good news. While we may not be able to grab that train of thought and force it to a healthier track, we can de-grease that old “Fear Track” and create a new one! We do this by staying conscious of our reactions to stress and fear – whether we are feeling agitated for an unknown reason or whether there is something very specific that has us really worked up or panicking. We can very consciously repeat to ourselves “I stay calm at all times.”, as we deep breathe our way through our emotional upheaval. Every time we do this, we are de-greasing the track of panic and frenzy, making our reaction of panic and fear less “automatic”, which increases our control and helps us consciously choose a different, healthier reaction. At the same time we are building that new track – one of strength, calm, and focus. As time goes on, that new track will become just as smooth and effortless as the first track! 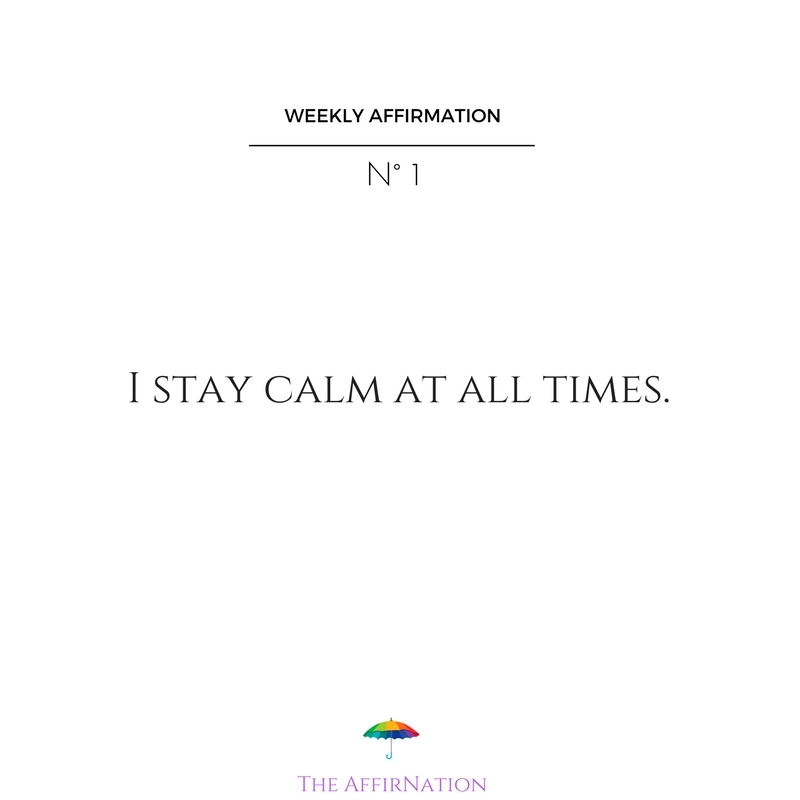 Kick off the construction of your new “Always Calm” track by taking a week to make this week’s affirmation a priority in your life! Take at least ten minutes a day to work with it. Write it down, say it out loud, and think it to yourself over and over again. Work with your affirmations in ANY way that you like as long as you are repeating this message to yourself often and with conviction! Remember: The less you believe it, the MORE you repeat it! After the week is up and this affirmation is no longer our highlighted affirmation, you will continue to repeat it to yourself as needed. Continue making this thought your new “go-to” response every time you feel panicky or overwhelmed… for the rest of your life. You will be amazed how, as the weeks and months go by, it becomes such a strong habit that you no longer even have to think about it or “try” to do it. You just do it. I have been saying this affirmation for YEARS now and now, every time I find myself getting upset or carried away, this thought always pops into my mind. Every time. It is automatic. I will not say that I always manage to stay calm every time, because I am who I am and I will be honest, there are certain what I call “real” situations in which I feel a very strong reaction is a legitimate response. (Remember, panicking and getting upset from time to time is not a “bad” thing. We are allowed to do it every now and then. We just can’t let it be our “default” setting.) However, I am so much more grounded and in control of myself in stressful situations since this affirmation sprouted in my brain, and 90% of the time, I find myself coping a hundred times better than I ever did in the past. For those of us with anxiety issues, this affirmation is one of the “big ones”. It is part of the foundation of a successful recovery. Repeat it until it feels as natural to you as your own name. And then repeat it about a thousand more times. This affirmation can change your life. Have a great week and remember, no worries.